Will Inland Marine Insurance Cover Damages to a Movie Set Construction? If you are a contractor, builder, or other construction professional, you may be considering whether or not to invest in inland marine insurance. This type of insurance covers materials, products, and equipment that are transported over land, such as by trains or trucks. It can also be used to protect costly items, such as cameras, from loss, theft, or damage. As equipment is moved from place to place, these risks become even greater. Fortunately, inland marine insurance can help cover potential damages. Inland marine insurance gets its name from when companies were forced to ship their goods overseas. In those days, ocean marine insurance was used to protection a ship’s cargo. As companies became more involved in the transportation of their goods, inland marine insurance was created to help compensate businesses in the event that their assets were lost or damaged while on the move. Since its initial development, inland marine insurance has evolved to include a wide range of coverage options. Some policies even protect against lost or damage to a business’ digital data and information. Inland marine insurance can be highly useful for filling the gaps that property insurance and commercial auto insurance do not cover. For example, it can protect property that is in transit. If you load up your truck with lighting equipment for your movie set and get in a wreck, your insurance policy will likely cover the replacement cost. Your policy may also cover the cost of property that is in your temporary care. If you rent or borrow materials or equipment from a third party and it is damaged or stolen, having inland marine insurance can help cover the cost to repair or replace the item. Inland marine insurance can also cover property that remains in a fixed, but movable, location. For example, if you have a food truck onsite your insurance policy may cover its stationary cooking equipment. However, for the truck itself the owner would need commercial auto insurance. Another major advantage of having inland marine insurance is to cover any property you own that moves around. Mobile pieces of equipment such as dozers and loaders can be costly to repair or replace. Having insurance on this equipment can help cover the high costs if it became damaged or stolen. 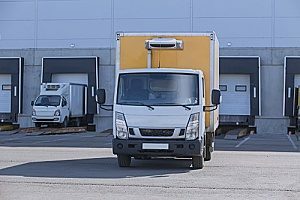 If you have a business that works off-site, moves products or goods, or if you are in possession of property that belongs to someone else, then you need inland marine insurance. Businesses in the construction industry can greatly benefit from having adequate insurance due to the level of risk they face on a day-to-day basis. If you own expensive equipment that you want to stay protected, inland marine insurance is a must-have. All types of equipment may be covered depending on your policy, such as electronic, computer, landscaping, and special event equipment. Inland marine insurance is also often used to cover property that is not commonly covered under standard property insurance policies. Valuable collections, fine arts, exhibitions, bailees, musical instruments, vending machines, patterns and dies, and signs may all be covered. When working on a movie set construction, having builder’s risk coverage is also vital. Builder’s risk coverage is used during construction projects to protect the structure, in addition to any construction materials. However, know that policies can greatly range from one insurance company to the next. Be sure to read through your policy options to find one that best fits your needs. Inland marine insurance was first developed to help protect cargo sailing across the ocean. Today, it means much more. 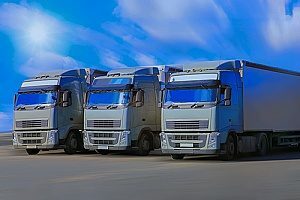 This insurance coverage now protects businesses against financial losses while transporting movable business property, such as goods, materials, and equipment. Whether you have items in different locations, on the road, off-site, or in temporary storage, inland marine insurance can provide adequate protection. 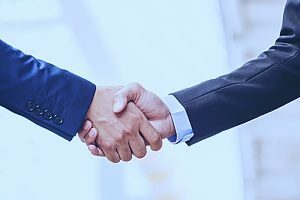 It is important to understand that even if you have commercial liability or auto insurance, there may still be some “gaps” in your coverage. To learn more about inland marine insurance or the steps to obtain a policy, contact an entertainment insurance broker. Previous Post: « What Is a Workers Compensation Audit?